On the 1st March 2017 the fixed penalty for using a mobile phone while driving has increased to a £200 fine & 6 penalty points. If dealt with at court the fine is likely to be higher and there will potentially be costs and a victim surcharge to pay as well. What is a hand held mobile phone or hand held device? An interactive communication function includes sending messages, pictures or providing access to the internet. 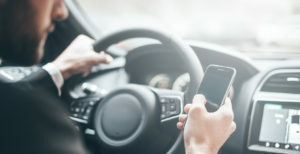 The likely penalties will depend on any aggravating or mitigating features making the offence more or less serious, any personal mitigation and whether or not you plead guilty to the offence. 6 penalty points or a discretionary disqualification. If you are at risk of apenalty points/totting disqualification.